If you’re looking for some unscripted television this summer, your eyes may be glued to ABC for some time. ABC has always been good to the game show and unscripted television genre, and they’re continuing that tradition this summer with hours of fresh game, competition, and talent shows. The network is launching three new shows while also bringing back two favorites many of you should be excited to see. 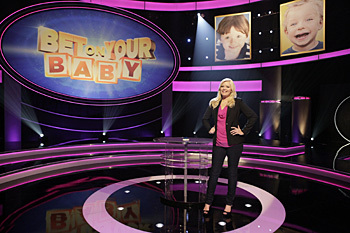 Somewhat inexplicably, ABC previously renewed Bet On Your Baby for a second season which will, again, air Saturday nights at 8:00PM ET starting May 31st. Melissa Peterman (Reba, The Singing Bee) returns as host. Each episode sees parents try to accurately predict what their toddler’s next moves will be for a chance at a $50,000 college fund for their kid. While obviously not a giant ratings winner, it was stable enough on a relatively dead night of television to get eight more episodes. It also doesn’t hurt that the format has been exported to five other territories. Plus, to be fair, Melissa Peterman is a good host and a Saturday night is a perfect slot for a family show like this. Plus it’s nice to see networks actually program on Saturdays. More genre offerings would be great for Saturdays, with the lowered expectations. More risks can be taken. Also airing on Saturday nights, starting May 31st, is Sing Your Face Off hosted by John Barrowman (Torchwood). The talent format features celebrities who are transformed and trained to perform as a legendary musical icon. Sebastian Bach, Landry Fields, Jon Lovitz, China Anne McClain, and Lisa Rinna will all compete. Debbie Gibson and Darrell Hammond will serve as regular judges, and guest judges include David Allen Grier, RuPaul, Carnie Wilson, Richard Simmons, Tom Arnold, and Carmen Electra. The show is based on the Endemol format Your Face Sounds Familiar. ABC loves their themed reality competitions. Though the awfully entertaining (if not a bit flawed) Whodunnit? is, ironically, dead, the network will instead launch the new series The Quest starting Thursday, July 31st, at 8:00PM ET. The Quest is being produced by the people behind both The Lord of the Rings and The Amazing Race and that’s probably the best way to describe what you’re in for. It speaks for itself. It’s going to be special effects heavy so if nothing else it should be pretty interesting and amazing to watch. If you’re into those movies or games like World of Warcraft you may want to check this out. The show ABC is getting most attention for, though, is Rising Star. 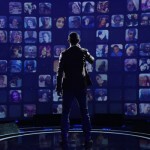 The singing competition, debuting June 22nd at 9:00PM ET, puts an interactive spin on the aging genre. 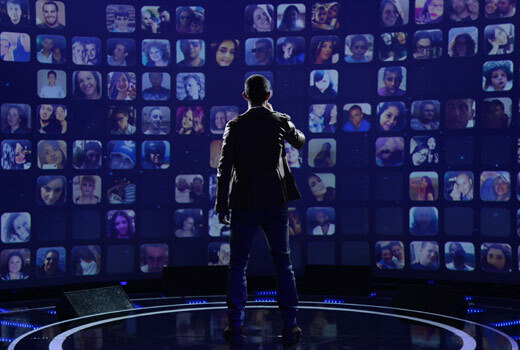 As contestants perform live on stage viewers can vote in real time to determine if that person will advance or not. Once a contestant receives enough votes, that person will advance. To add to the pressure the person singing will be able to see the voting results as they go on. There’s been a large amount of attention given to this show and it’s being made to seem like the next “big thing.” Check it out and judge for yourself. There you have it. Lots of stuff going on and something for practically every taste. They’ve got it all covered. Looking forward to any of them in particular? Let us know.